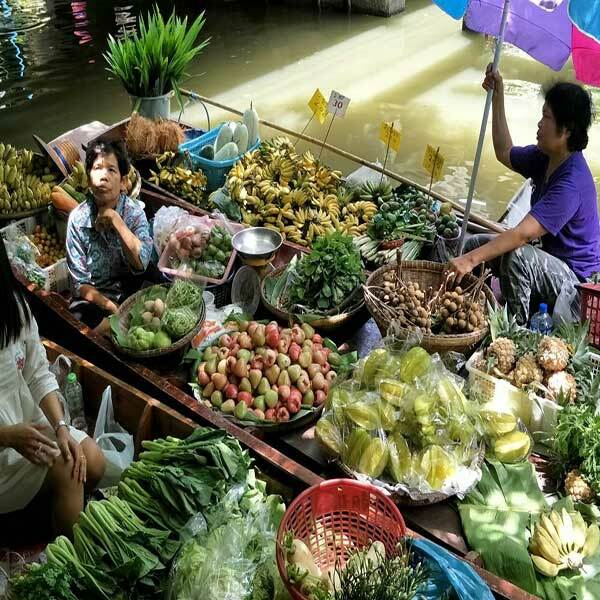 Floating market & Bangkok City Tour. If you like to get out and about and do some exploring, this is a great tour for you to check out. Explore the local side of Bangkok’s suburban communities. Koh Sarn Chao is a local arts & crafts community, friendly locals, take a walk along the beautiful canal and have fun checking out the surrounding area and the exciting Klong Lad Mayom floating market where the locals’ lives are intertwined with the way of the water. Explore the beautiful Koh Sarn Chao community. Enjoy the areas with lush green nature, lovely people and local living along the canal. Visit Champa Temple, explore the unique architecture that you will not see in any other temples. Visit stunning traditional Thai houses and stroll along the neighborhood. Visit the beautiful vintage Thai perfumery and craft house. Depart to Klong Lad Mayom floating market by traditional long tail boat. 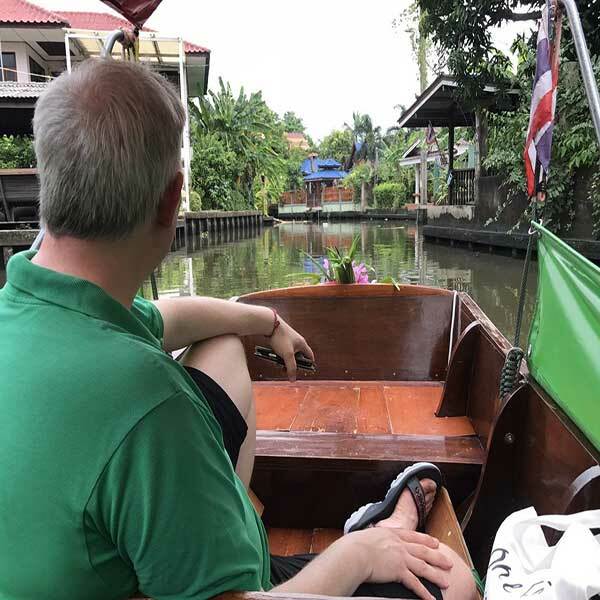 Have fun roaming around the hustling and bustling Klong Lad Mayom floating market. Enjoy delicious local lunch next to the canal. Depart back to your hotel (Bangkok only) via VIP air-conditioned van. Learn how to make organic banana cake with a local granny – so delicous! Learn how to paddle traditional Thai wooden boats in local canal and immerse with local way of living. Duration: 09.30 a.m. – 13.30 p.m.
Meeting Point: BTS Bangwa, Exit 1 & 2. You will see our tour guide wearing HiveSters Polo-shirt, greeting to you with big smile. Tour guide contact details to be released upon booking. Activities as stated in the program. A charming & experienced licensed English speaking tour guide. Public Transportation: taxi from BTS Bangwa to Koh Sarn Chao community. Long tail boat, Thai Thai style. Drop off to your hotel (Bangkok only) by VIP air conditioning van. A local souvenir handmade by villagers in the community. Pick up drop off to your doorstep. What to Bring: Camera, Sun screen, Sunglasses. An open mind with big smile. What to wear: Comfortable clothes and walking shoes.